Teachers presenting with testimony at the Master Teacher program. 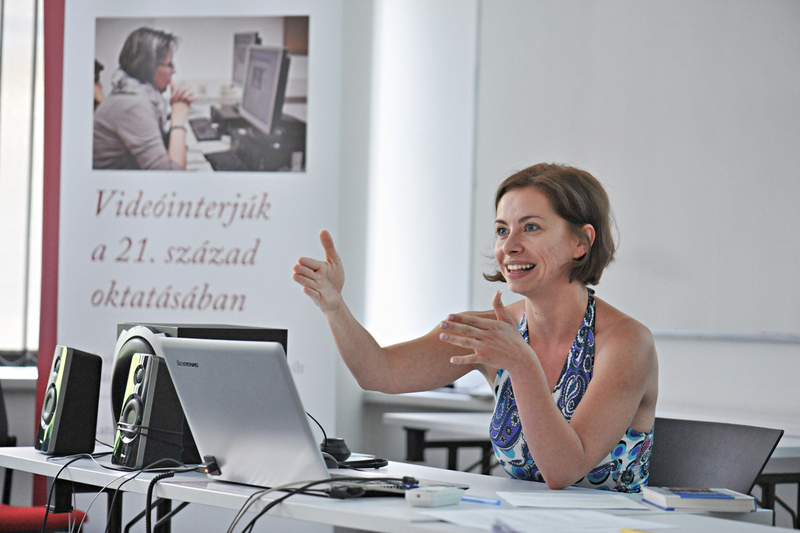 Nineteen educators gathered at Central European University Budapest the first weekend in July 2016 to share the activities they piloted in the classroom after being initiated into the Master Teacher program in Hungary last year. 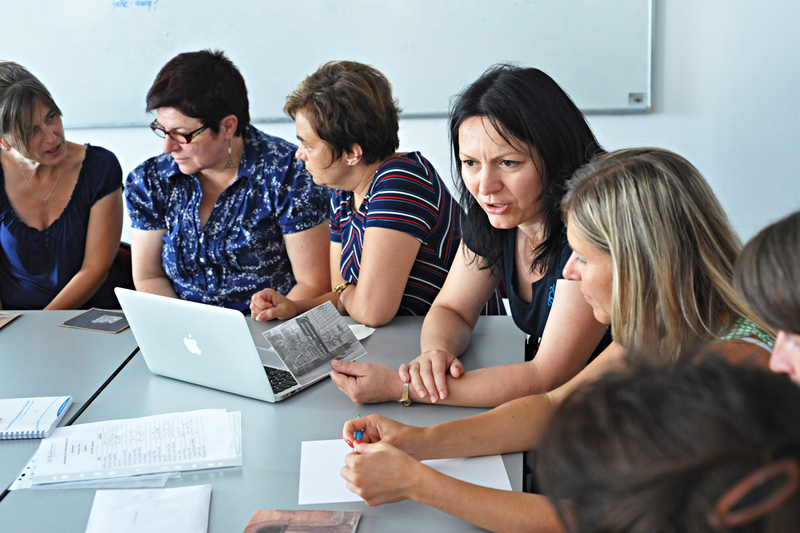 Nineteen educators gathered at Central European University Budapest the first weekend in July to share the activities they piloted in the classroom after being initiated into the Master Teacher program in Hungary last year. USC Shoah Foundation’s flagship professional development initiative, the Master Teacher program is a two-year course that incorporates workshops, mentoring, and community building to prepare secondary school educators to search for and utilize testimony from the Visual History Archive, as well as digital learning tools such as IWitness. These teachers, who earned a spot in the program after the most competitive application process thus far, convened last July for an initial training session in which USC Shoah Foundation’s local liaisons provided instruction in using the Visual History Archive, building lessons and activities around the testimonies, ethical video editing, and other topics. Participants then piloted the testimony-based lessons they had created in their own classrooms and presented them to a professional audience at their school or elsewhere over the past year. A few weeks ago they reunited to present their lessons to next year’s cohort and receive feedback. Of the 19 participants, two were museum educators who developed museum education projects to implement where they work. One of the educators, who was from the Budapest Historical Museum, created a project that used testimony and focused on Budapest’s “Shoes on the Danube Bank” memorial. The bronze shoes in Hungary’s capital city are a tribute to the Jews who were ordered to take off their shoes before being shot along the river during World War II. 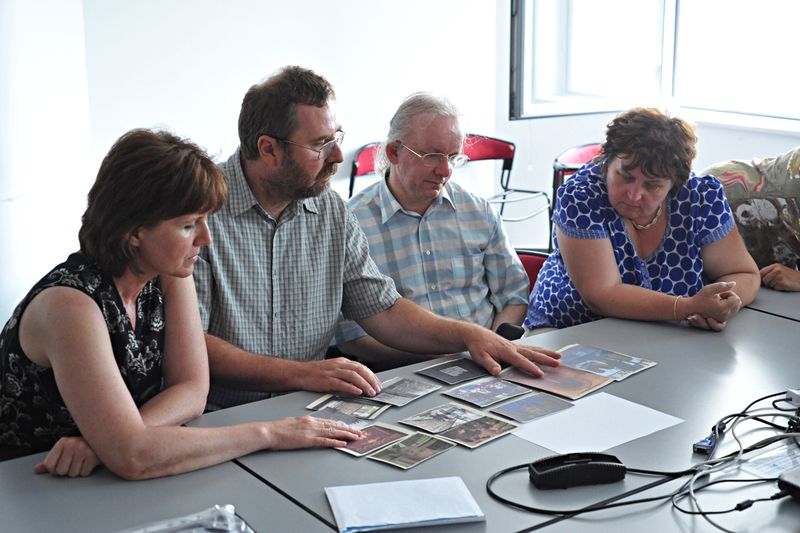 The secondary school teachers involved developed everything from IWalks to IWitness activities to a debate project. 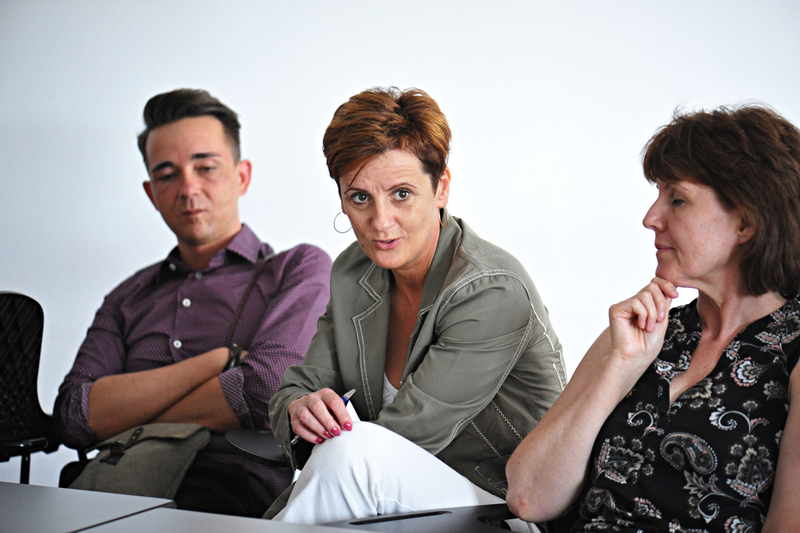 Two teachers developed local IWalks for the small towns of Putnok and Polgár, and the larger city of Pécs. Another teacher developed an IWitness activity, “Friendship Knows No Boundaries,” that features Polish Jewish refugees in Hungary. The activity was already piloted by middle school students in Vac, and will soon be piloted with a Polish school -- reflecting the two cultures the activity spotlights. Though many of these activities have already been tested, the teachers at the training session were given the opportunity to get more responses by presenting their projects to six students who gave feedback about what they liked and what could be improved in the lessons. This is the second year that the Master Teacher program has invited local students to participate. Budapest teachers present on using IWitness in the classroom. 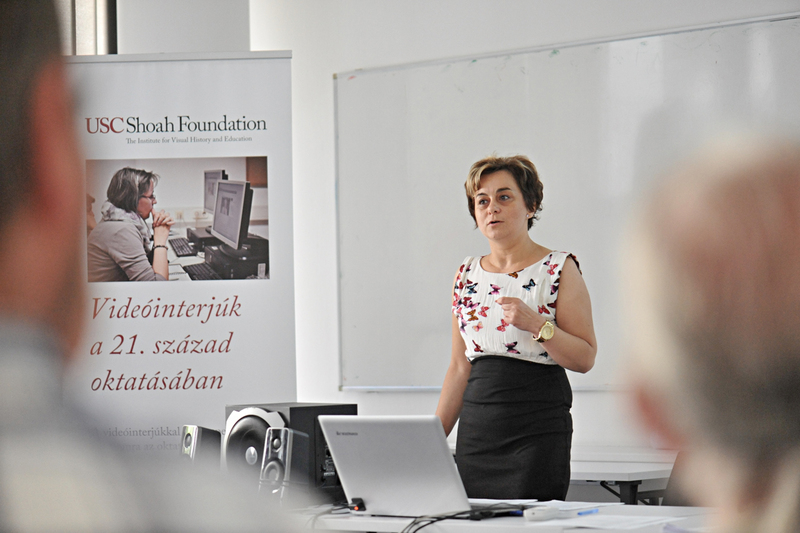 Andrea Szonyi, USC Shoah Foundation’s senior international training consultant and regional consultant in Hungary, led the Master Teacher training session. She said she was extremely impressed with the what the educators had done in the past year. 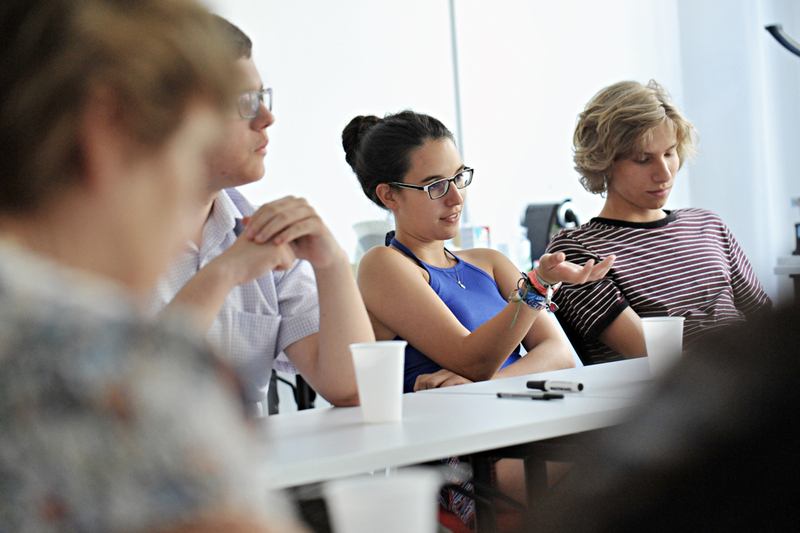 Many of these teachers have already started to develop new projects, which focus on the topics of propaganda, anti-Semitism, rescuers, stereotyping, and self-esteem.